They feel stuck or lonely in their marriage. They feel unloved or unlovable in their most important relationships. They feel numb, disconnected, or just going through the motions in their lives. The day we give birth is the day that we put all our own passions and interests on hold and focus on meeting others people’s needs (not to mention their expectations). We take on the role of making sure everyone around us – our husband, our kids, our families, our bosses, our employees, our friends and even our pets – are safe, comfortable, happy – and loved. 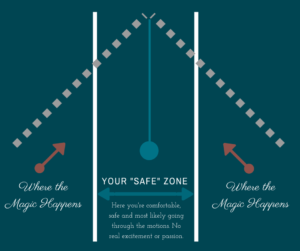 We end up living life inside our “Safe Zone”, a known space where we’ve been conditioned to live – between the lines. In our lane. We wake-up in our 40s or 50s and feel like we’ve just been going through the motions – wondering if we’ve just lost our way, or thinking perhaps we’ve never know the real “us” at all. We have no idea what’s outside the groove we’ve carved out for our life. And that unknown feels scary. Beyond scary… downright petrifying. 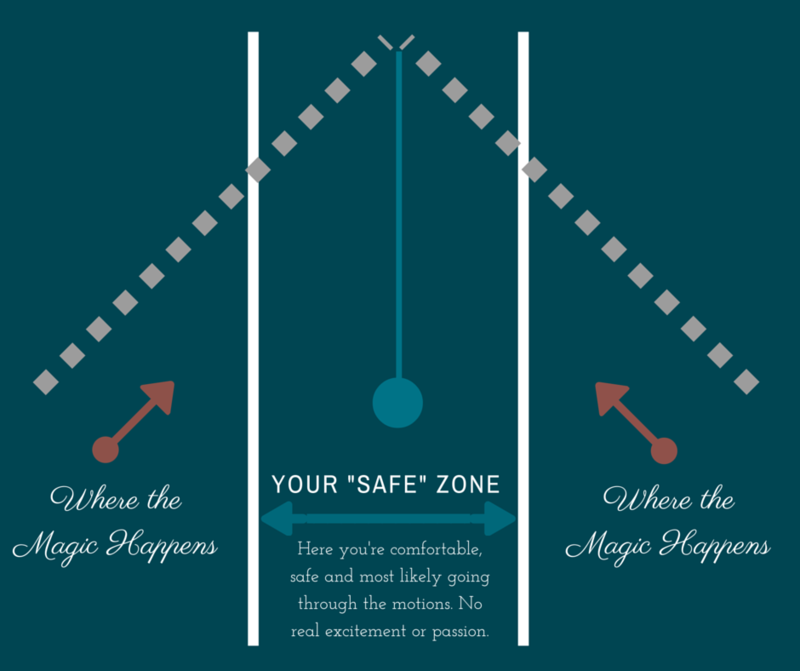 Everything we want to feel and have, experience and become – is outside of that Safe Zone. It’s where we allow ourselves to experience pure joy (without any of the guilt). It’s where we give ourselves permission to fuel our passions. It’s where we slow down long enough to listen to what our souls crave. It’s where we have the deep conversations that make us feel connected, seen and heard. It’s where we stop going through the motions in our lives and feel alive again.